Lyons/Zaremba worked closely with EHDD Architects and TJP Engineering on the renovation and re-design of The Toledo Zoo’s historic aquarium building. This Aquarium renovation has carefully considered the historic nature of this 1934 facility by respecting its façade and interior “bones,” while making dramatic improvements to the live exhibits, public spaces, and the overall visitor experience. Lyons/Zaremba’s work focused on the design of all live animal exhibits, inclusive of tanks, replicated habitats, and related special features such as surge and wave action devices. Within the constraints of a very tight budget and the Zoo’s desire to maintain the majority of their existing animal collection of over 200 species, LZA and EHDD were able to repurpose many existing focus tanks while expanding the overall water volume from 46,000 to 170,000 gallons. 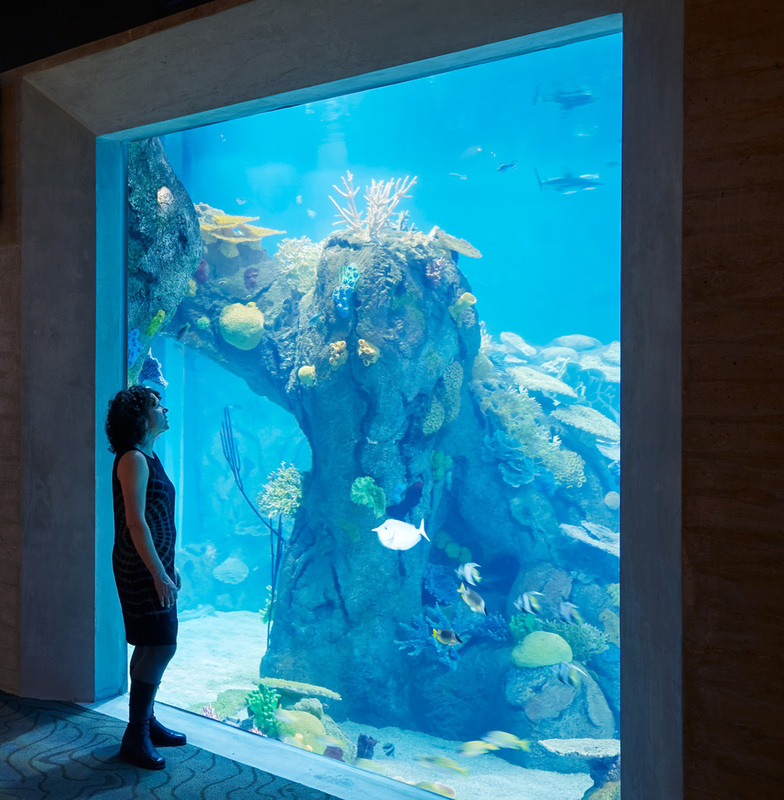 Featured new exhibits include a 90,000 gallon Indo-Pacific coral reef exhibit and a series of moderately-sized exhibits that focus on the Amazon River, the open ocean, California kelp forest, giant Japanese spider crabs, and a large touch tank featuring sharks and rays.